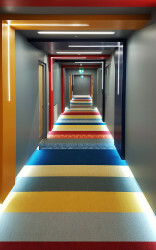 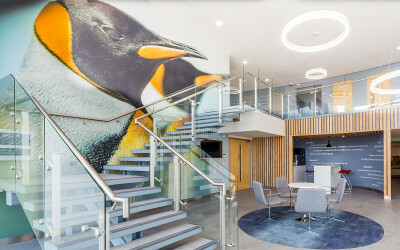 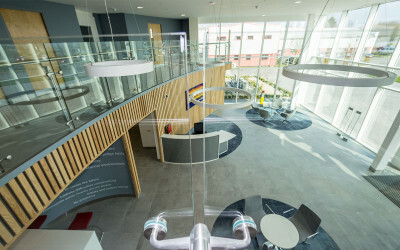 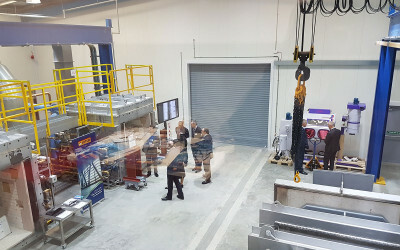 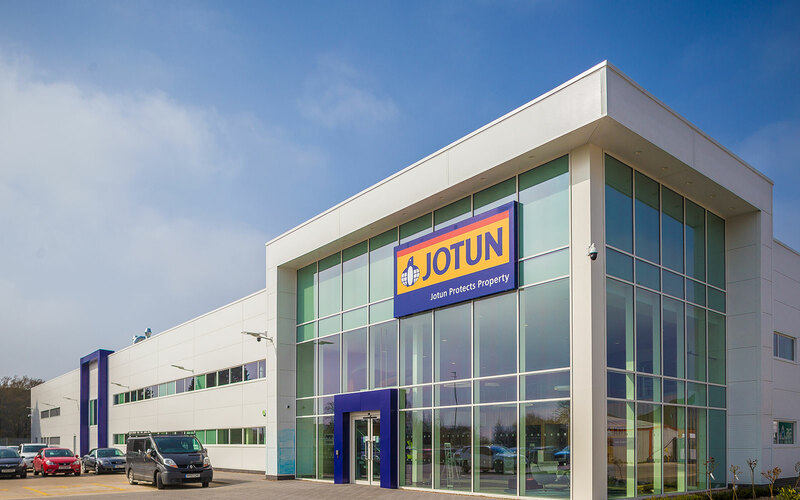 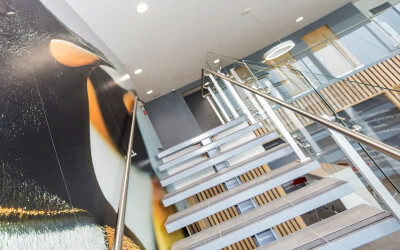 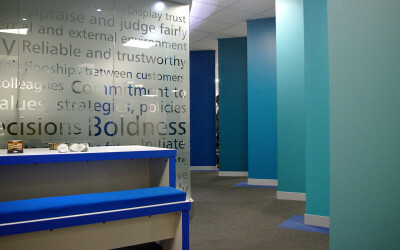 headoffice3 were approached by Jotun, a global paint manufacturer, to look at the feasibility of providing a state of the art research and development centre for intumescent paints here in the UK. 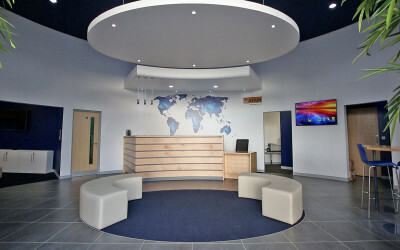 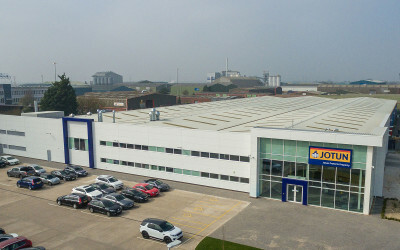 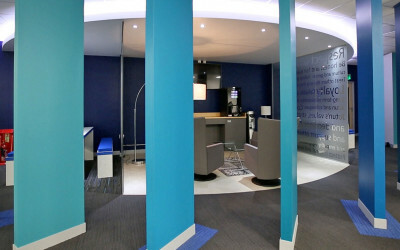 After analysing the current facility in Dubai, the architectural team at headoffice3 provided three solutions for the UK; one was a new build on the current site, the second was the redevelopment of an adjacent warehouse which Jotun used for bulk storage and the third was a new build option on the adjacent property. After consultation with key members from Jotun’s Norway headquarters the second option was selected. 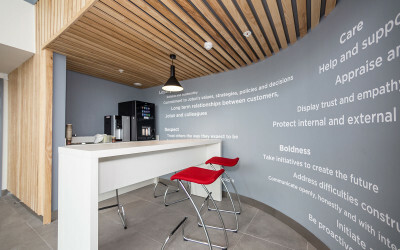 The teams then focussed on gaining an accurate brief, challenging every step of the design process to ensure increased productivity and maximum impact on clients impressions. 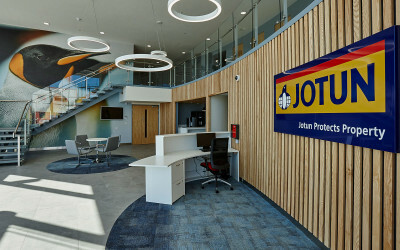 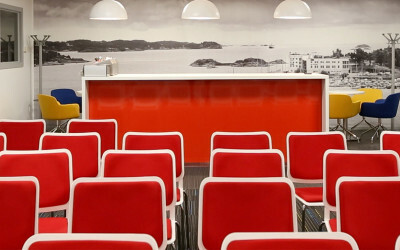 Two main features which are particularly successful in capturing the interest of Jotun’s clients are the impressive atrium space with full height digital prints and modern breakout spaces, and the viewing gallery overlooking spray booths and conditioning rooms with a VIP area overlooking the furnaces.